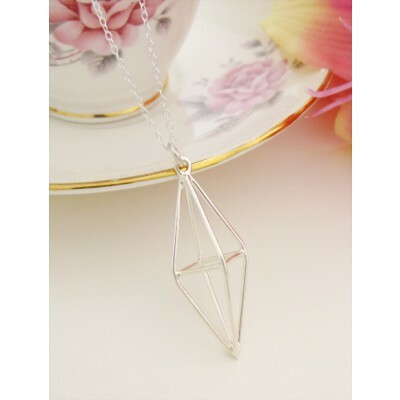 The sterling silver prism necklace offers a stunning alternative to standard designs. This gorgeous necklace is unique and edgy with polished rounded wire that reflects the light with a great three dimensional feel. This is a strong design for a woman that feels comfortable with a modern look, a perfect necklace that compliments an elegant dress where you want a pendant to really stand out with a transparent but significant look. 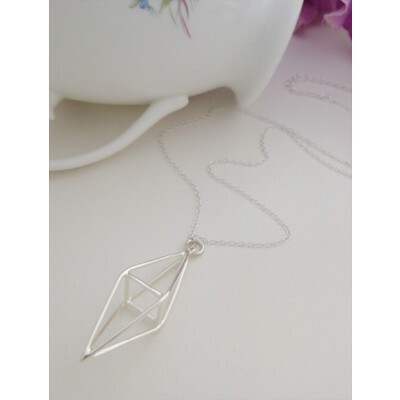 The geometric shape offers angles that draw attention to the prism pendant that combine to create a stunning necklace, perfect for a big night out. 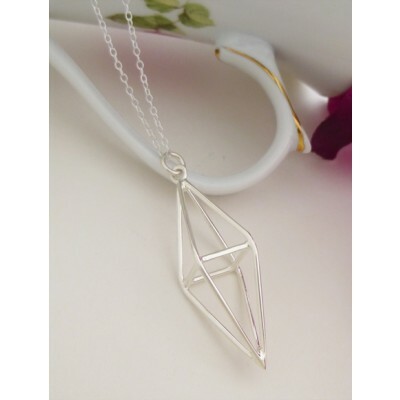 The sterling silver prism pendant necklace is made in 925 sterling silver and is hallmarked in the UK. It sits on a standard 40cm necklace chain with a 5cm extender and comes in our Guilty bespoke branded and padded necklace boxes. 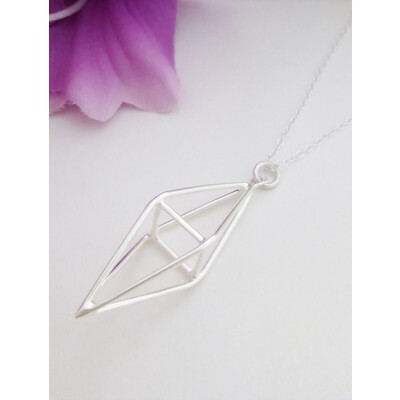 Sterling silver prism pendant measures 40mm in length and 12mm in width at its widest point. 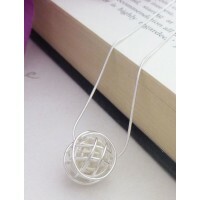 Set on a simple sterling silver chain with a shortest length of 40cm and a 5cm extender.